We’ve got the UCI’s live video feed from the 2014 Cyclocross World Championships of the Elite Men’s race right here. But keep reading. It starts at 9 a.m. EST time. 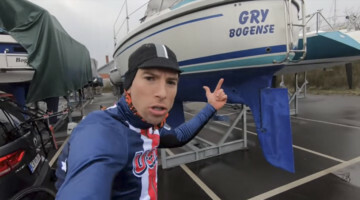 See the full Worlds schedule on Cyclocross Magazine’s World Championship page. 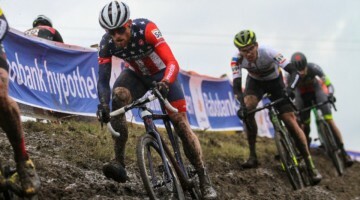 In the U.S., Universal Sports owns the video rights to the UCI’s Cyclocross World Championships, but unfortunately you have to be a subscriber, and many of us either don’t have cable or can’t even get the channel on our local cable (Comcast, among others). That means that for the biggest two days of the year in cyclocross, many of us are sadly S.O.L. cyclocross My pants are too dumb. My only option is iPhone and can’t get it to work. I cant get any of the links to work. cyclocross thanks for the live feed. Great race! Stybar wins. Wanted Nys but Stby has crazy power. Fun to watch him on the road. Holy crap – what a race. Stybar may be on his way to become the next great non-GC rider. And to everyone who questioned @TheJonathonPage ‘s inclusion on the team …. uh, time to eat some crow.